Ant Anstead will appear at the Practical Classics Classic Car & Restoration Show, held at Birmingham’s NEC from 31 March to 2 April 2017. He will be appearing on the Practical Classics Live Stage as well as popping up around the show. With over 120 classic motoring clubs and around 1,000 vehicles on display, the Practical Classics Classic Car & Restoration Show features a fantastic mix of live demonstrations, expert advice, stunning classics and specialists traders including an extensive Autojumble. The show’s most popular feature, the UK’s biggest display of barn finds will be a focal point of the event along with the Lancaster Insurance Pride of Ownership competition looking for visitors to pick their ‘best in show’. The Sporting Bears’ Dream Rides will also be offering a ten mile ride as a passenger in one of the cars from the Dream Rides Garage in exchange for a donation to charity. The car you chose will determine the size of your donation and with a mix of marques from British Sports to Italian supercars, there will be plenty to chose from. 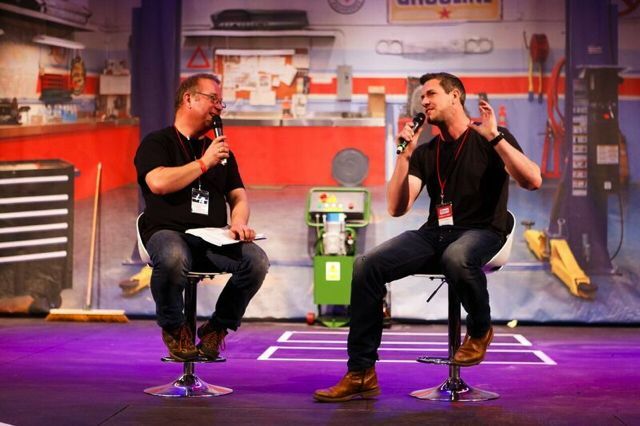 As well as more classes for novices and masterclasses for those looking to enhance their skills in the Workshop, more special guests on the live stage and more seminars offering expert advice, there’ll also be around 350 specialist traders with marque specific retailers on offer including the UK’s biggest Spring autojumble.